Those sepia-toned childhood memories of beating your granddad at Monopoly can be partially recreated on your smartphone. All of the games here work on both Android and iOS, and are now free for life—not for a limited period. When downloadable content first became a thing, it seemed like we’d all move to the digital model and the physical gaming purchases would disappear. Instead, we’re buying downloadable content with plastic toys. Syndicate runs with what’s made the series great (rather than adding in pirate ships to cover the cracks), makes some much needed improvements to areas that needed them, and cuts out a lot of the bloat that’s grown since AC III. Big-budget games are coming to Linux, thanks to graphic driver improvements and the arrival of SteamOS. Here are five, top-tier games which undeniably demonstrate the potential of Linux as a platform for gaming. Playing horror games is popular during fall. There’s no better way to celebrate the season than a game where you run from the undead, ax murderers, or whatever other fear you want to face. 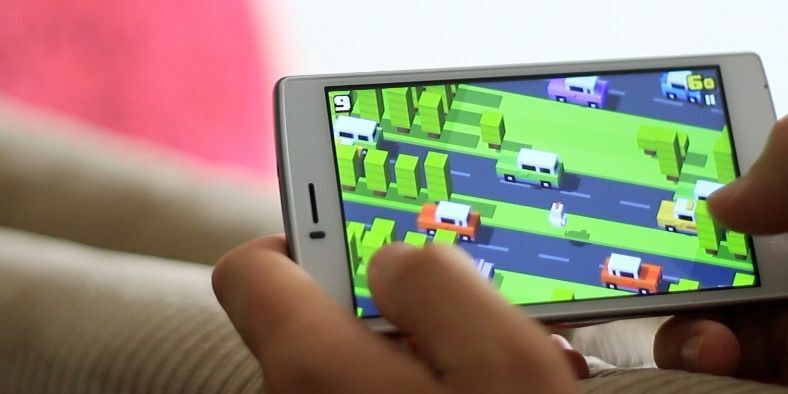 Smartphone games are a great way to kill time. If you’re stuck waiting for a bus, or just need a way to occupy a few moments, they’re hard to beat. You will want to use Windows 10 for gaming! Whether it’s streaming your Xbox One games to your PC, using the Xbox app, or enjoying high performance gaming with DirectX 12, Windows 10 enhances your gaming experience. Fallout 4 Is Almost Here: Start Planning Your Character Now! Can’t wait for Fallout 4? Here’s how to start planning your character’s stats ahead of time. With Google stopping auto-play Flash ads this year, it won’t be long before the rest of the Internet starts turning it’s back on all things Flash. When your PS4 updates it usually brings awesome new features, but waiting for it can be a chore. Here’s how to automate the process so you get to your games faster. Not everyone has time for epic quests. These Facebook games can give you a quick fix of fun in just a few minutes. A quiet, gentle new genre is creeping toward your computer and all you have to do is click. And click. One source of outrage in the gaming community is pre-order “bonuses” that consist of pathetic toys, unfair advantages, or carved-out content. Is Disney Infinity 3.0 really just a cash in, or did Disney actually put forth the effort to make a family-friendly and enjoyable experience? We’ve got two starter packs to give away. Can I have a hacker breaking into PSN/XBL/Steam/all three? usual Matrix-style code thing, but with the logos in the background, perhaps? Lara Croft is perhaps the most famous female video game character. And her latest mobile avatar makes for the best game you will play on phones or tablets this year. Before you dive into the stock market with real money, you should get yourself acquainted by spending time on some simulators. Here are 5 of the best. As long as there’s been an Internet, there have been fan-made Mario games.